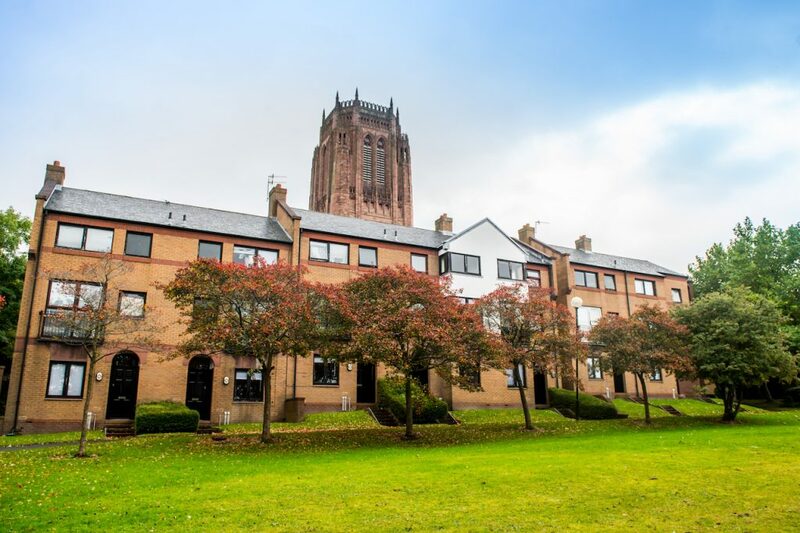 Vista Panels are currently working with fellow Merseyside firm Spektaglaze Ltd on the refurbishment of student accommodation in the grounds of Liverpool’s iconic Anglican Cathedral. Dwell Student Living has embarked on a facelift programme of works to include new windows and composite doors on the site. Vista are supplying 70 XtremeDoors front and back for Dwell’s Cathedral Campus. Finished in black with a matching Eurocell outerframe, the versatile XtremeDoor was specified as its appearance is in keeping with the heritage look of its surroundings. Situated in the heart of Liverpool and with 35 years experience Spektaglaze Ltd has gained an enviable reputation for the supply only and supply and installation of quality uPVC windows and doors to the commercial and residential sectors. Cathedral Campus offers 384 spaces across both communal housing and traditional halls of residence. The site is predominantly home to students studying at the neighbouring Liverpool Institute for Performing Arts (LIPA) but also students from Liverpool’s John Moore University. For more information call us on 0151 6081423 or send us an online message. This entry was posted in Company News, Composite Doors.